It still might be quite a while until Birds of Prey (and the Fantabulous Emancipation of One Harley Quinn) hits theaters, but there have been quite a lot of set photos for the upcoming film. The newest ones, which put the focus on Harley Quinn (Margot Robbie) and Cassandra Cain (Ella Jay Basco), just might show the start of a wild ride. The Birds Of Prey set photos, which you can check out below, show Robbie and Basco sitting in a parked blue car, which has several mattresses strapped to the top of it. While it’s unclear exactly what’s happening in the scene, one photo shows Robbie sporting half of a set of handcuffs on her right arm, which certainly raises a whole lot of new questions. These are just the latest set photos that have involved Harley and Cassandra, with previous photos showing the duo driving in a vintage yellow convertible. Again, while there isn’t a lot of context for either scene, it certainly looks like Harley’s “fantabulous emancipation” from The Joker will involve a lot of driving. 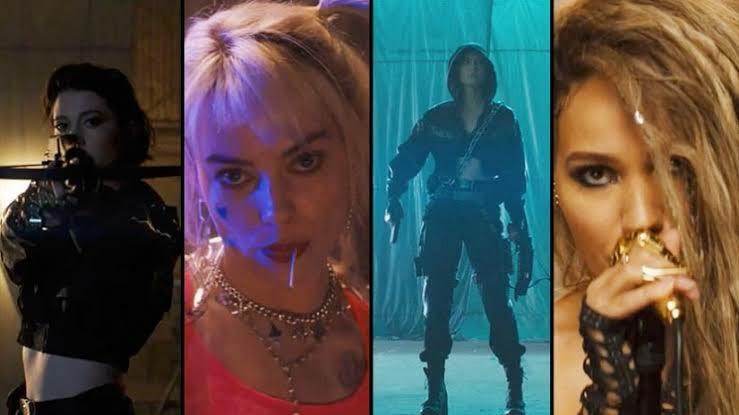 Birds of Prey will see Harley crossing paths with Black Canary (Jurnee Smollett-Bell), Huntress (Mary Elizabeth Winstead), and Renee Montoya (Rosie Perez), as they try to rescue Cassandra from Black Mask (Ewan McGregor), a vicious Gotham crime boss. In the process, the film will explore who Harley is as a character, after Robbie’s portrayal became a fan-favorite part of 2016’s Suicide Squad. Birds of Prey (and the Fantabulous Emancipation of One Harley Quinn) will arrive in theaters on February 7, 2020. Shazam! is in theaters now. Upcoming DC movies also include Joker on October 10th, Wonder Woman 1984 on June 5, 2020, The Batman on June 25, 2021, The Suicide Squad on August 6, 2021, and Aquaman 2 on December 16, 2022.